continued ....as with all legendary rarities, the fact that no-one knows exactly how many copies were produced will always feed the imagination of collectors. The Holywell Press have no information on the number they printed for Spender. And no-one who received copies from Auden is alive today. Thanks Robin. That's Wyndham Lewis's portrait of Spender above and Auden by Avedon beneath. I vaguely know why Spender was going for so much 20 years back; there were at least two punters around building completist collections of major twentieth century poetry. There are some nearly impossible early Sassoon items but when you have 'The Waste Land' and Pounds 'A Lume Spento' and the difficult Wiliam Carlos Williams, the last challenges remain the 1928 Spender and Auden booklets. The Spender is probably twice as hard to find. 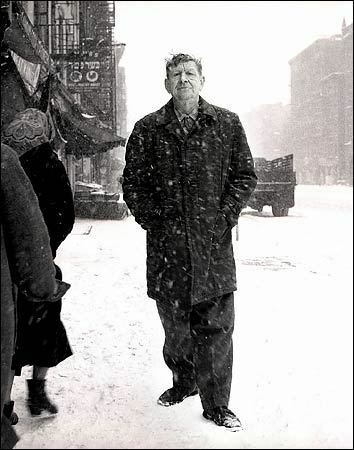 The sums don't seem to work because Auden is several times a greater poet that the talented Spender. 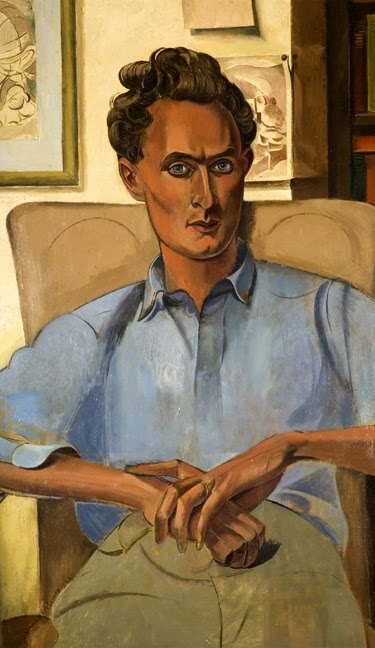 If Auden is Dylan then Spender is probably Donovan. Time and time again in this game you realise that price does not reflect literary greatness, even within an author's own work. Sometimes an author's worst book is his rarest and most valuable. In April of 1990 Spender's book made $57,500 and 3 months later another copy described as 'one of thirty' made £24000 (then $43,200) to one 'Stone.' None have appeared since. This was the late Bernard Stone bidding for a completist who I shall call Swiss Henry - in that same year he bought a 1928 Auden (not nice but inscribed to Spender) for the guy for £10500. In 1996 a decent Auden 1928 Poems made $17000 and it returned to auction 11 years later In the Annette Campbell White sale in 2007 where it made $58000. A decent investment, but as I recall Ms White was a fund manager. I want to hear more about Swiss Henry!